Want ALL of our giveaways, but can't make it to ALL of our games? Join the Red Wings Giveaway Guarantee Club! For just $125 you'll be able to own ALL of our giveaways (both adult and kids giveaways) during the 2019 season. Only a limited number of Red Wings Giveaway Guarantee Club memberships will be sold. Please note: Our Bark In The Park giveaways for dog owners will NOT be included in this Club. 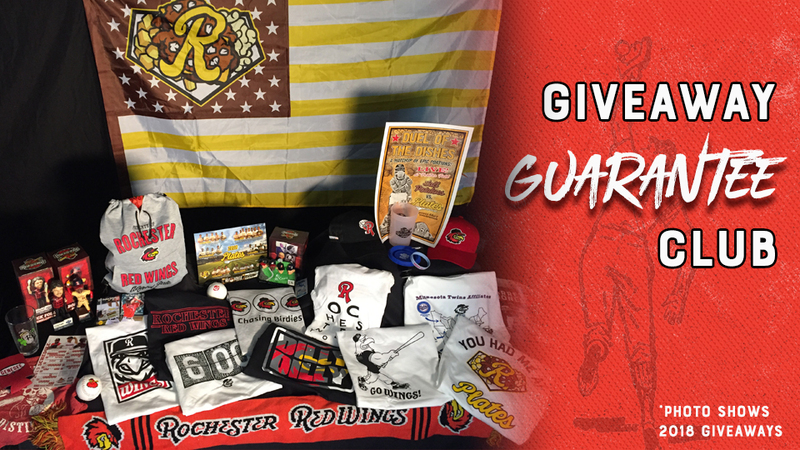 Stay tuned to our social media outlets (@RocRedWings) and RedWingsBaseball.com throughout the next few months for giveaway announcements.